Pinterest is an exciting and fun way to interact with potential customers. Over the years, it has grown exponentially and now has over 200 million ‘pinners,’ making it an awesome platform to display your company’s products or services! Pinterest is no longer considered a whimsical platform only used by bloggers and cooks. Because of the ability to create pins (a.k.a. posts) that never expire, Pinterest has become a major player in the game of social media. Pinterest pins have a lifetime shelf life, which sets it apart from other social channels. “Since discovery and search powers Pinterest, content has evergreen value,” says Pinterest’s Emma Dunbar. Pinterest is uniquely set up to encourage others to share your content. When you pin content from your website or blog, everyone who follows you can see that pin immediately and pin it to their own board. From there, others can re-pin your pin, and so on. This creates wider exposure for your brand and more traffic to your website. The terms of service state that if you are using Pinterest for commercial purposes, you must set up a business account. This is primarily due to the fact that they have separate terms of service for businesses because of Pinterest ads. Unlike a personal Pinterest account, a business account can access promoted pins and buyable pins to help promote or sell a product. When setting up a Pinterest business account you will use your business name as is – you won’t have to set it up like a personal profile with a first and last name. With a business profile, Pinterest offers marketing tools to help guide you along the marketing journey. They provide educational tools and ‘pinsights’ to give you analytics on your page and advice on how to succeed on Pinterest. 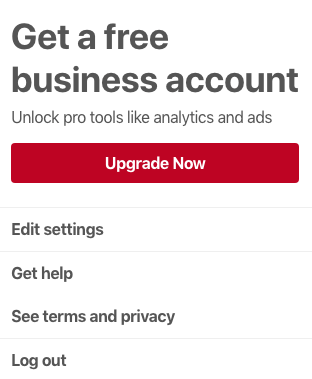 Click ‘Upgrade Now.’ From there, Pinterest will lead you to a series of questions that will help you modify your current account. But, say you use your personal Pinterest account strictly for personal uses, like recipes and travel ideas. 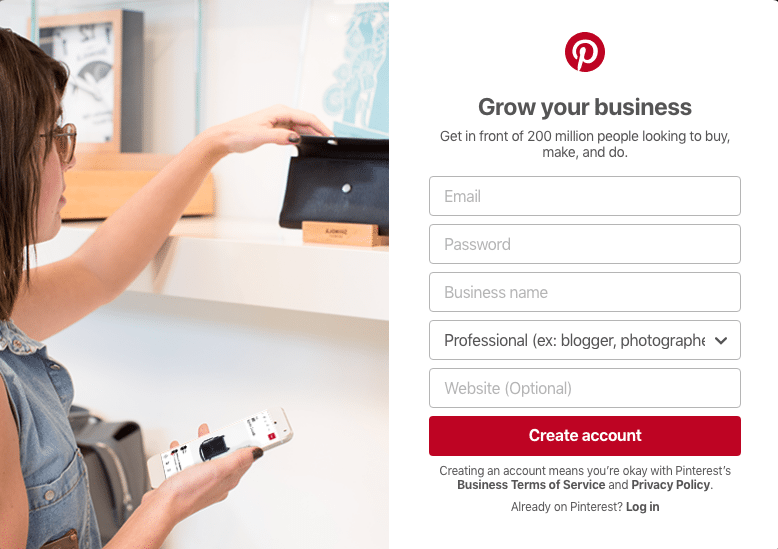 We would recommend you create an additional Pinterest account for your business. Pinterest makes it simple to sign up for a new business account. Head over to this page to start the process now! To do this, you will need to either upload an HTML file (that Pinterest creates) to your web server, or insert a meta tag from Pinterest directly to your site. Check out this step-by-step blog to learn how to do this. If your business account was converted from your personal one, chances are you’ve already got some pins. If you set up a new business account, it’s time to start getting creative! Since Pinterest is a great place for evergreen content, it’s a great place to showcase your products and services. It can also be a reflection of your website to some extent. Some of your pins could be similar to what you post on other platforms with links back to your website. 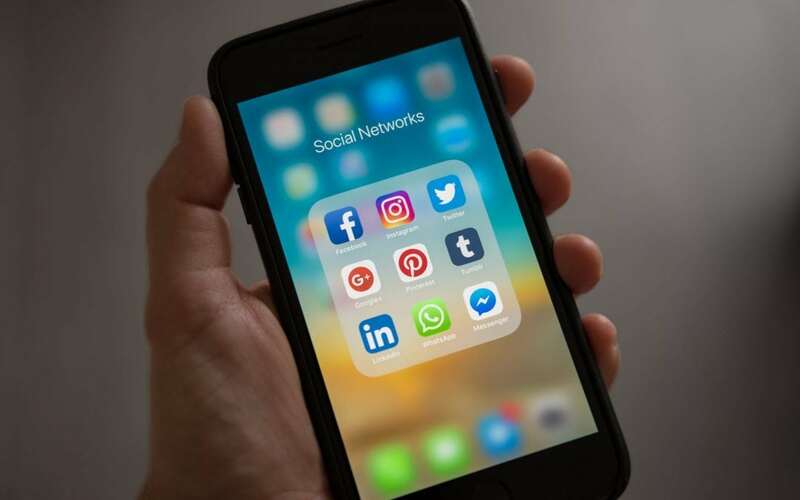 Don’t have other social media platforms, such as Facebook or Instagram? Learn how to set up those accounts right here: Facebook and Instagram! Hot Tip: A great way to pin your heart out and create some efficiencies in your work is by adding the Pinterest browser button for chrome. This allows you to pin images that you find all over the web. It also saves you a few clicks when adding blogs from your own website to your Pinterest board(s). Adding a ‘Pin It’ button to your website and blog will encourage your site visitors to share your website images and content with their Pinterest followers! Since each pin is connected to a URL, the more pins from your website, the better. This leads to more website traffic and potentially more conversions. We suggest using this tool if your business sells products directly from your website. It is also helpful to draw people toward reading your blogs, since a lot of folks visit Pinterest for advice, “how-to’s,” and the like. Having access to promoted Pinterest pins is another great advantage of having a business account. These pins are exactly like your normal ones, but you are able to pay to have more people see them. Pinterest offers a lengthy drop-down menu dedicated to ads – including information on traffic, engagement, awareness, and audiences. At Aspen Grove Marketing, we are here to help business owners of all sizes succeed with their digital marketing, including Pinterest. We’re here to help you drive traffic to your website through your Pinterest business account and other digital marketing channels. If you’re ready to make a difference in your bottom line with digital marketing, contact us today to improve your digital marketing strategy and online presence.